linkin park – So Andyway…..
Pines is a record that I can get behind. 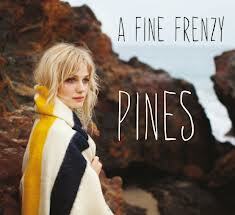 The latest record by A Fine Frenzy not only tells a story, but celebrates it. The album contains 13 tracks that aren’t afraid to paint a picture as well as entertain. This is definitely a headphone record. Whispered vocals, subtle arrangements, and delicate ambiance combine to make Pines an extremely theatrical aural experience. The story of the album is about a tree that has free will bestowed upon it. I know how that may sound to some, but trust me, its not as ‘precious’ as you may think. Much of the album features quiet, light acoustic instrumentation that sets up perfect contrast heavier moments. Dynamic production is the highlight of this album, and though I have placed a track from the record below (‘Avalanches’) I’m not going to recommend any other. You should take the time with this record as a whole. Let it win you over. And when it does, be sure to check out the interactive eStorybook that was created in order to help tell the album’s story. It is available in the iTunes store, and there is a link to it at A Fine Frenzy’s website. Put the record on, relax, and enjoy the experience of falling in love with truly fantastic art. PLAYLIST COMPANIONS: Andrew Bird, Lisa Hannigan, Florence + The Machine, storytelling in general. 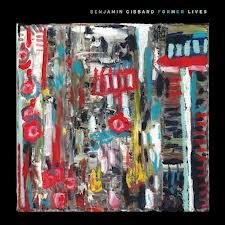 Ben Gibbard makes his solo debut with Former Lives, a collection of tunes written over an eight year span. If you’re a fan of any of Gibbard’s other projects (Death Cab For Cutie, The Postal Service, All-Time Quarterback!) you will be very pleased with this record. 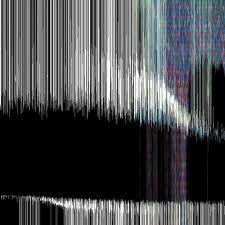 Gibbard has a gift for crafting warm melodies that seem familiar to the listener. Not because he is ripping anyone off, but because his delivery is so inviting that the tunes feel like they have always been a part of you. ‘Bigger Than Love’ is a duet with Aimee Mann that marches along a driving tempo and bright melody. ‘Teardrop Windows’ (below) is a nostalgic ode to a bygone era. Its clean riffs and melodic structure brings to mind mid sixties pop, and you can almost hear Roy Orbison singing along. Former Lives proves that Gibbard is not afraid to experiment, featuring an a cappella tune (‘Shepherd’s Bush Lullaby’), as well as a mariachi influenced track (‘Something’s Rattling (Cowpoke)’). The reverb soaked vocals and production on ‘Duncan, Where Have You Gone?’ make the track sound like a long lost John Lennon tune. Former Lives is a delightful selection of tunes by one of this generations top songwriters, and is very worth your time. This week only, you can get the album for just $5 over at Amazon MP3. 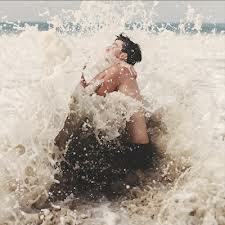 Within ten seconds of Vital, fans of Anberlin should have a big smile on their face. By the final punch of the aptly named lead off track ‘Self-Starter’, your neck should be sore from aggressive head nods. Anberlin has always been best when they explore the passionate side of aggression, the light within the darkness, and that is exactly what Vital is all about. The blistering guitar solo in ‘Little Tyrants’ screams along the track’s fist pumping backdrop, punctuating what was an already triumphant track. First single ‘Someone Anyone’ (below) is a great snapshot of what the rest of the album has to offer, crushing guitars, energetic rhythms, and some of Stephen Christian’s best vocal work to date. The layered ‘Type Three’ is one of the albums strongest tracks, a gentler number with tinges of acoustic guitar and piano that will help you get lost in the melody. ‘Orpheum’ is another highlight, an exciting mix of big synths and powerful riffs. Vital is an extremely strong record, one that demands your attention. Sunny guitars, playful rhythms, and dreamy pop make up this joy of an album. The nostalgic clean riffs echo a simpler time, when music could simply be enjoyed for what it is without all the over-analyzing and deconstruction of today’s jaded listener/reviewer. Oshin glides along each of its thirteen tracks at a relatively even pace, picking up steam as it goes. The album is a highlight as a whole, but the album’s closing third contains the stand out tracks “Oshin (Subsume)” and “Doused”, a one-two punch that breaks the mood a little and helps bring the record home. 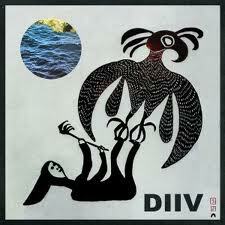 DIIV have crafted a fine debut record, and it can be purchased here. What is there left to say about The Flaming Lips? Titans of psychedelic laced folk influenced genre bending rock, they never seem to disappoint when it comes to a new set, and The Flaming Lips and Heady Fwends is no exception. The big story for this former Record Store Day exclusive is its list of likely and somewhat unlikely collaborators. Names like Bon Iver, Edward Sharpe & The Magnetic Zeroes, Nick Cave, Jim James (My Morning Jacket) will get fans excited, and rightfully so. Those tracks are fantastic, but for the fans who revel in the Lips’ ability to mix things up and make the abnormal seem normal, check out “The First Time Ever I Saw Your Face” which features Erykah Badu, and the kickstarting beat thumping opening track “2012 (You Must Be Upgraded)” which boasts spirited performances by Biz Markie and Ke$ha. All in all, The Flaming Lips and Heady Fwends is a fantastic sonic journey that will take you all over the map. Check it out here. I happened upon this record when looking into today’s new releases, and I’m definitely happy I stumbled upon it. Echo Lake’s brand of breathy, ethereal shoegaze makes for a delightful record. The band combines the usual genre trappings with the reverbed 60’s throwback vocals akin to artists like Best Coast. 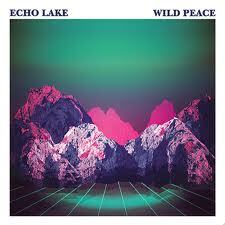 Wild Peace is an apt title, as most of its tracks have a bright, relaxing tone. Every now and then the vibe is shaken up, as on the brash-in-a-good-way “Young Silence”. If you plan to chill out and tan on the beach or your friend’s backyard this summer, Wild Peace would be a great record to augment that mellow experience. Pick it up from Amazon and check out their other releases on bandcamp. I have a lot of respect for Linkin Park. Despite constant pigeonholing by reviewers and fans alike, the band continues to push boundaries and reinvent themselves with each new record. 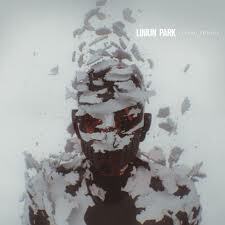 Living Things finds the band channeling every influence they’ve picked up along the way and focusing them into one 37 minute powerhouse. Tracks like “Vitctimized” and “Burn It Down” may tread familiar territory, but thanks to the electric co-production of Mike Shinoda and Rick Rubin, they never feel forced or stale. People often mistake maturation in songwriting for ‘playing it safe”, and Living Things is anything but a safe record. See for yourself by checking it out on Amazon MP3. Favorites: of all the albums I’ve been rocking this week, the one I’ve been surprised by is “A Thousand Suns”. I’m an old school Weezer fan (title hint) and I love Hurley, but “A Thousand Suns” takes the cake. Back in my younger, less mellow years I was a vocal detractor of Linkin Park. Why might you ask? Great question. By all rights I should have loved them, and in fact did like some of their songs when i would hear them on the radio, but would tell myself I didn’t. Again, why? No idea. Fact of the matter is, this album is awesome from start to finish. It is a concept piece, designed to flow together as one. If you haven’t checked it out yet, you should. Recommended for headphone use, and make sure you can listen to it without gaps between the tracks. It makes a huge difference. As far as movies go, I LOVED The Town and Let The Right One In. I’m a Ben Affleck fan, and he shot a right hook to the haters with this movie. He stars, screenwrites, and directs this flick, and he delivers on all fronts. Could be my fave flick of the year so far. Let The Right One In was wonderful as well. I’m a big sci-fi/fantasy fan and I love action and suspense as much as the next guy, but this was a fantasy film that didn’t really need that much action. It is more about the relationship between two 12 year olds that really need each other. The english language remake Let Me In is coming out soon, and even though it looks like they played up the gore more than the original, I’m still amped to see their take on it. For comics, as you can probably tell, I’m primarily a DC fan. GL is my jamb, and these series just cannot disappoint. I’ve listened to a bunch of comics podcasts and read a lot about people’s views on Grant Morrison’s run of Batman. Reviews seem to be mixed, but I for one am a HUGE fan. I don’t think he is a God who can do no wrong, but I really feel he’s mining the essence of what it is to be Batman, why there will always be a Batman, and why we will always love Batman. You should really go all the way back to the start and read everything involved with his epic, as a lot of the books can’t be fully appreciated out of context. If this seems like too daunting of a task (it’s a whole lot), start with his run of Batman and Robin. Quality from beginning to current, when all of the setup starts to pay off. Also in GenLost, LOVE the Kingdom Come tie-in. Max Lord is a BAMF. Well that’s about it! What are you excited about?